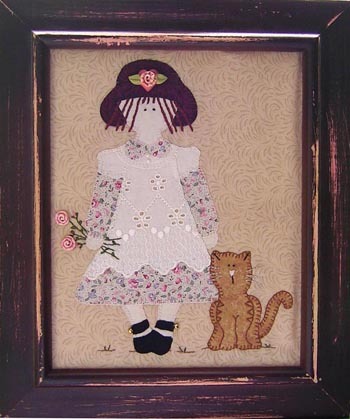 A sweet applique for a little girl. 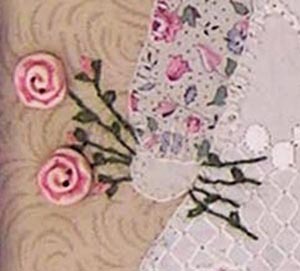 Pattern includes handmade buttons and lace for apron. When completed will fit a frame opening 8" x 10". Pattern includes diagram for tracing designs and instructions. Pattern does not include frame, fabrics, cottons, beads etc.